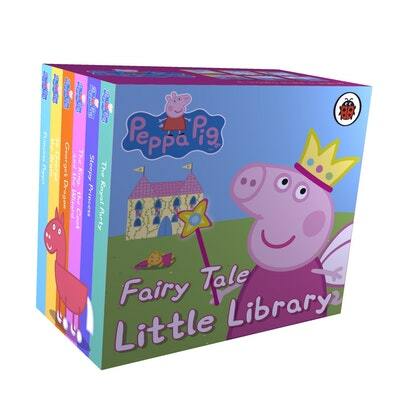 This cute Little Library includes six mini Peppa Pig classic fairy tale adventure books in a beautiful slipcase box. Join Princess Peppa Pig and Prince George in their wonderful fairy tale castle up in the clouds and read their stories time and time again. Based on the number one children's TV show Peppa Pig, this lovely set of books is perfect for presents, pocket money and party bags! Love Peppa Pig: Fairy Tale Little Library? Subscribe to Read More to find out about similar books.